Nursing is a kind of profession that provides ample of opportunities to serve the society, as well as focus on the intellectual growth of the individuals. Students, who are dedicated to serve and care the infirm people, can choose RN as their line of work. Registered nurse schools in Louisiana offer a wide range of hard and soft skills required to initiate your career as an entry-level RN. Here is the detailed description of these program programs. For taking admission in the registered nurse school, you’ll have to meet the below given requirements. The applicant must have obtained a GED. or high school diploma from a state-approved school. The age of the prospective candidate should be 18 years. He/she should be proficient in interacting in the English language. The potential students should submit a valid photo ID and address proof. Aspirants must clear the standardized entrance test (TEAS-Test of Academic Skills) with minimum passing scores. Two attempts are allowed for this exam. It is vital to submit fingerprint report. All the candidates are expected to qualify a criminal background check, as well as a drug test. Prerequisites for RN program program may vary in the different institutions, but those nursing programs that are accredited by the American Association of Colleges of Nursing or the Accreditation Commission for Education in nursing have standardized requirements. Four distinct programs are available to the applicants, who wish to become a registered nurse. Bachelor degree (BSN): BSN is a four-year program, which provides profound knowledge of nursing, intellectual skills and practical program. It covers courses in microbiology, humanities, general chemistry & psychology, human physiology and anatomy, etc. Associate degree (ADN): ADN prepares students to shoulder the basic responsibilities of an RN. The coursework of associate’s degree completes in two years. The curriculum of this program includes fundamentals of nursing, biology, psychology, etc. Diploma course: The diploma program takes one to two years to complete. Only some community colleges in Louisiana offer diploma courses. Accelerated BSN: Accelerated BSN programs are specifically designed for non-nursing degree holders. This course is very flexible as it offers online classes that help the prospective applicants to manage time as per their convenience. The curriculum of the above program programs consists of in-class instructions and hands-on practice in clinical settings. These programs prepare students for entry-level positions in the healthcare industry. Students, who have graduated from any of the above courses, are eligible to take the National Council Licensure Examination (NCLEX-RN). RN to BSN: RNs, who want to upgrade their knowledge, can select this program. It will strengthen their base and open doors to several jobs. LPN to RN: The licensed practical nurses can turn their career to the registered nurses through this coursework. 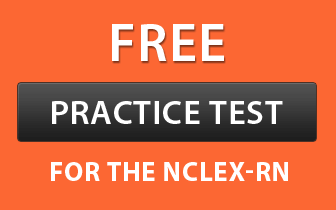 A graduate from this program is qualified to appear for the NCLEX-RN exam. Master of Science in Nursing (MSN): This program offers specialization in several areas, such as obstetrics, pediatric care, neonatal care, family care, acute care, psychiatric care, palliative care, etc. After acquiring this degree, you can assume the roles of Certified Nurse Specialists (CNS), Certified Nurse Midwives (CNM), or Nurse Practitioners (NP) in a variety of healthcare systems. Doctor of Nursing Programs (DNP): Graduates of DNP course can influence patient outcomes by improving healthcare systems and bringing changes to augment the quality of care. All the programs listed below are approved by the Nursing Board of Louisiana.